As my blog reaches it’s 1st birthday in April, I have learned learned quite a bit about SEO (Search Engine Optimization) to enhance my blogs rankings in search engines. Below is a list of what I have learned so far, and I hope to learn even more by the blogs second birthday. If you have an SEO tip, comment below and I’ll post the tip and link to your site. Some of these items are relatively easy to implement, and some items may surprise you. I do plan to add to this post as I learn more. Search engine rankings can be attributed to a few things; Incoming links, Meta Tags, website age, and length of content. The more trustworthy websites that contain links to your websites, the higher your organic ranking will be. SEO should not be confused with advertising in that you can pay to appear at the top or the right hand side of a search engine. The below tips are how to use SEO to increase your chances of climbing up in the rankings. – Guest Posting is a quick and easy way to get new links pointing to your website. Find a competitors website that is fairly high in the rankings and ask them if you could do a guest post. Most blog owners will welcome your request. Your job as a guest poster is to promote your piece on their website and link back to yours. How do I pick who to ask for a guest post? I look for two different types of blogs to requests guests post for. 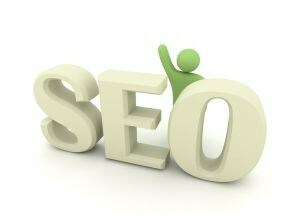 I look for blogs who are high in the rankings, which would give the link to my website a high priority. I also ask blogs that are similar size to mine as they are more likely to say yes. What should I say? Start to engage with the blog you have your eye on, whether it be commenting, tweeting with or posting on their Faecebook Page. Create a relationship with the blog you want to guest post for, and the owner is more likely to say yes. What do I do after my guests post is published? Don’t stop engaging with the owner of the blog. It’s easy to forget and move on. It’s all about who you know. You should also promote your post on your social media sites. Feel free to ask the blog owner to write a guest post for your site. – Commenting on other blogs is a great way to leave your link behind. Share a piece of thoughtful commentary relating to the article and post a link to your site. Commenting allows you to build a relationship with the blog owner when they comment back. Your goal should be to have them comment on your blog as well. – Duplicate Content – Do not post your guest post on your own blog. Google doesn’t like duplicate content and your guest blogging efforts will be wasted. I made this mistake as I showcased in an earlier article about business to business social media. There are different schools of thought on this, but if Google thinks you are doing this maliciously, they will push you down in the search rankings. – Redirecting can be tricky. If you use more then one URL to redirect to your current blog, make sure it is a 301 redirect. You can check the type of redirect here. This type of redirect is telling everyone that your site has permanently moved. – URL Structure – When setting up links in your website, use the anchor text of the keyword that you want people to find search to find your content. Instead of “click here” for a website all about social media strategy. You would want to use social media strategy as the anchor text for your link. – Image Optimization is a real easy way to get people to your website when they search. Instead of saving your photos as image1 or image2, I would save the image on computer as How to SEO1 and How to SEO2 to make them more searchable in a post about SEO. – Incoming Links – The more incoming links you have from trustworthy websites, the better your search engine rankings will be. What makes a trustworthy website? Age, content and credibility of links linking to their website. – Outbound Links – When you have someone guest post for you, they’ll typically include a link to their website or blog. If they have similar content to you, it’s almost giving your reader a pathway to the competition. The benefits of inviting guest bloggers outweighs the helping the competition factor. Make sure that your content is as awesome as it can be, and you won’t have to worry about loosing out. – Website Age partly determines the credibility of a website. A page that is 20 years old verus on that is 5 years old will have better trust and credibility. When looking for guest blogging opportunities, you should research the site that your post will go on. You can check the age of any web domain by going to the domain age check tool. – Meta Tags – at it’s simplest, the meta tag is what tells the search engines what type of website you have. I want to be found when someone types in “social media blog”, which is also my meta tag. It’s extremely important to make sure that you are utilizing the correct meta tag. – Post URL – I know I wanted to write a blog about SEO, but what would be the best URL and title of my blog that search engines would love? The Google Keyword Tool lets me research which keywords get the most searches. “How to SEO” gets roughly 2.2 million local searches a month. “SEO Basics” only gets 3,600 local searches a month, so the choice was easy. Link stability – Make sure your guest blog post is going to stay there forever. It won’t help you if your post that links to your site is removed. Do you have any SEO tips that you’d like to add? Send me a message, I’ll include your tip and a link to your website.